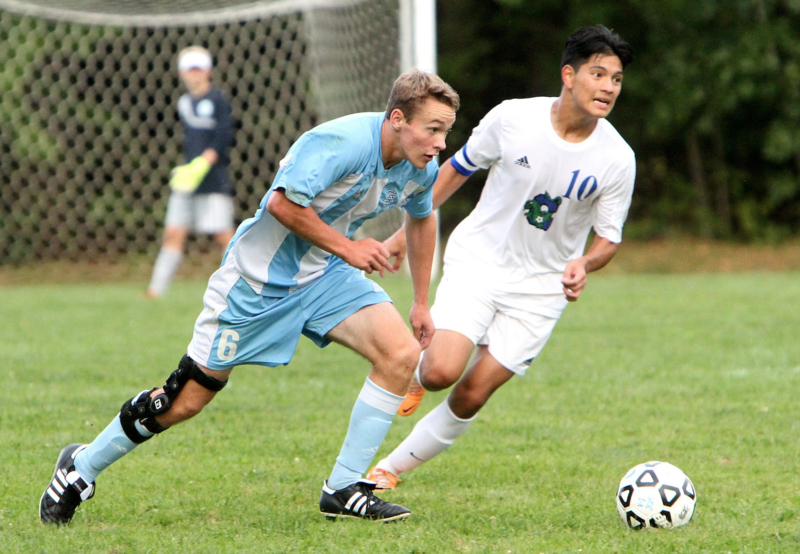 O'Hara Named Gatorade VT Soccer Player of the Year | Far Post Soccer Club, Inc.
Far Post U18 Premier player Patrick O'Hara was honored as the best soccer player in the Vermont last week by Gatorade. This prestigious award recognizes the nation's elite high school student-athletes for their athletic excellence, academic achievement, and exemplary character. Patrick has been a varsity player for South Burlington High School since his freshman year. This past season he scored 19 goals while also assisting 15 times for SBHS. Furthermore, Patrick has played a pivotal role in the success that the Far Post 99/00 Premier Boys have seen over the past year. Patrick averages close to a goal per game and drew the decisive penalty in the the 99/00 Premier Boys State Cup Final win this June. Patrick has maintained a 4.05 GPA going into his senior year at SBHS. O'Hara has volunteered locally on behalf of blood-donation drives, an elementary school literacy initiative, and a basketball program for disabled children. He is the captain of the SBHS bowling team and also works for Far Post as a referee during the indoor season. We could not be prouder of Patrick's development as a player and person since he joined Far Post at the age of 12. He embodies the values we strive for as a club and is someone that our younger players can look up to. Far Post is excited to watch him during his final year of high school and see where his journey takes him into college. Patrick is the 7th Far Post player to have won the Gatorade Vermont Player of the Year award since 2003.